← Climate Finance: Who’s Responsible? Globalization levels the playing field for innovation in climate adaptation and mitigation. But barriers to the transfer of innovative ideas from universities to entrepreneurs to communities remain high in much of the developing world. The UN Framework Convention on Climate Change facilitates these connections with its Technology Mechanism, made up of the Technology Executive Committee (TEC) and the Climate Technology Centre and Network (CTCN). These systems meet a similarly equitable purpose to climate finance or capacity building. With guidance from the Conference of the Parties, the TEC supports policy initiatives that improve technology transfer. The CTCN extends technical assistance and strengthens the knowledge economies of developing countries with information services. The governments of least developed countries can request technical assistance support through nationally designated entities (NDE) – specific government offices that act as liaisons. A network of experts and development organizations comes together to support projects. 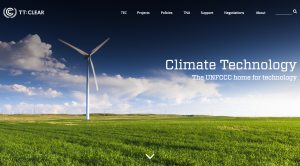 The CTCN is uniquely positioned in the UNFCCC to provide governments with a model of support which is typically extended to private companies. Governments may request tailored technical assistance or technical incubator services. These requests can come to the NDA from cross-sector stakeholders. LDC may also submit requests for a Technology Needs Assessment (TNA). These surveys signal target sectors for domestic development and international attention. The TNA delivers a Technical Action Plan as a finished product. The CTCN model encourages technical assistance to fit within national commitments from the Paris Accord. The Poznan Strategic Program on Technology Transfer facilitates the two main elements of the Technology Mechanism with funding from the Global Environment Facility. This enables TNA and projects that come from the findings of TNA. In an internship at the Securing Water for Food Technical Assistance Facility, I experienced the importance of technology transfer firsthand. But I hesitated when I applied because I was unsure that technology alone was adequate to meet the political and social needs of natural resource conservation. In my opinion, technology was the cause of the world’s climate crisis, not the solution – that would come by changing markets and politics to produce and consume sustainably. Then, I helped the facility support technology transfer between innovative start-ups and communities. I saw how technology intersects with my original images of change. Expanded incomes from technology adapted to a new climate can secure social standing, market access, and encourage participatory governance for individuals or nations. The benefits of technology transfer extend far beyond the technical. Coming at the project with a policy background, I led a report on regulatory barriers to climate-smart agricultural innovation in South Africa and India. Issues in the transfer of technology – be it risk-averse organizational culture, lack of investment, or universities isolated from field knowledge – could seriously stem the flow of otherwise impactful projects. Investment in climate adaptation and mitigation can be made more efficient if barriers to technology transfer come down, politically and technically. To help with this, I provided a series of recommendations to the USAID Missions in the two countries. But the Missions had little leverage to change national policy. The NDA system in the CTCN places states as the points of contact. The TEC forms a bridge between technical assistance and the policy-focus of other UNFCCC initiatives. With this holistic approach to technology transfer, the UNFCCC may meet both the political and technical needs of developing countries. In my experience, these must be met together. The innovators I worked with needed legal support as much as they needed technology. Some struggled to register their products or even navigate unfamiliar bureaucracies. 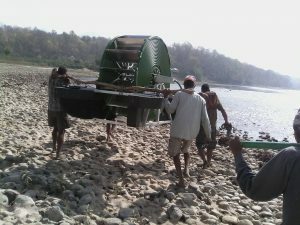 Technology transfer in the UNFCCC could push innovative technology past the barriers to adoption or scale and into the hands of the people who need it to mitigate or adapt to climate change.